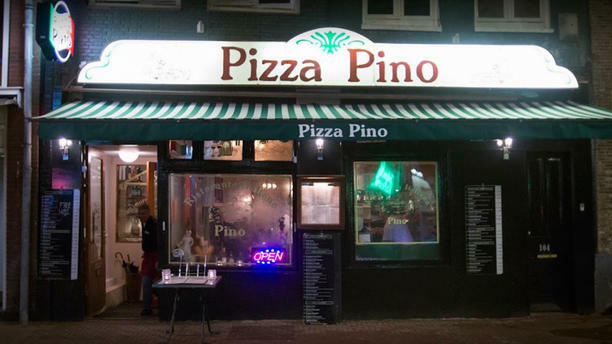 Ristoranta Italiano Pizza Pino is situated in the heart of Amsterdam: The Leidse Square. Tram 1,2 and 5 are all three full of tourists in the direction of the square. You would not miss these! At Pizza Pino, all dishes are prepared with a century old recipe and all are in and in Italian. Try it once, you will always go back another time! Perfect as always. Good pizzas! Food actually wasn’t bad. A little bit to salty( pasta) but pizza was really nice, extra thin, with good amount of ingredients. The only thing that really bothered me was that we had to pay extra fo r Parmesan to pasta. And it was not in the menu so we paid for a bread ( but actually it was Parmesan). Work better. I’m italian and i don’t like so much your pizza. Really nice and welcoming service ! Human prices for amsterdam and very delicious food! Too loud music. The food pizza and pasta was fine. Nice Italian food in a vibrant street. Would recommend.